Special Event Weekend: Last Day Reveal! These top-performing virtual golf balls from the iconic golf brand are player favorites and available to everyone, unlocking at Level 0. Add more distance, control and spin, plus the added vapor trail makes all your shots easier to track. 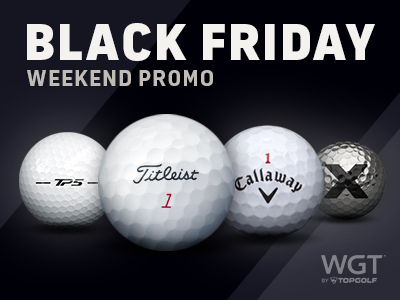 *Offer valid on one 2,000 or more WGT Credit purchase only on Mon, 11/26/18 through 11:59 PM Pacific Time, get 3 free Titleist Pro V1x Vapor Balls (L0+).